Honshu Collector's Edition Display Stand | BUDK.com - Knives & Swords At The Lowest Prices! Display your entire collection of Honshu tactical blades proudly with this custom Honshu Collector's Edition Display Stand. 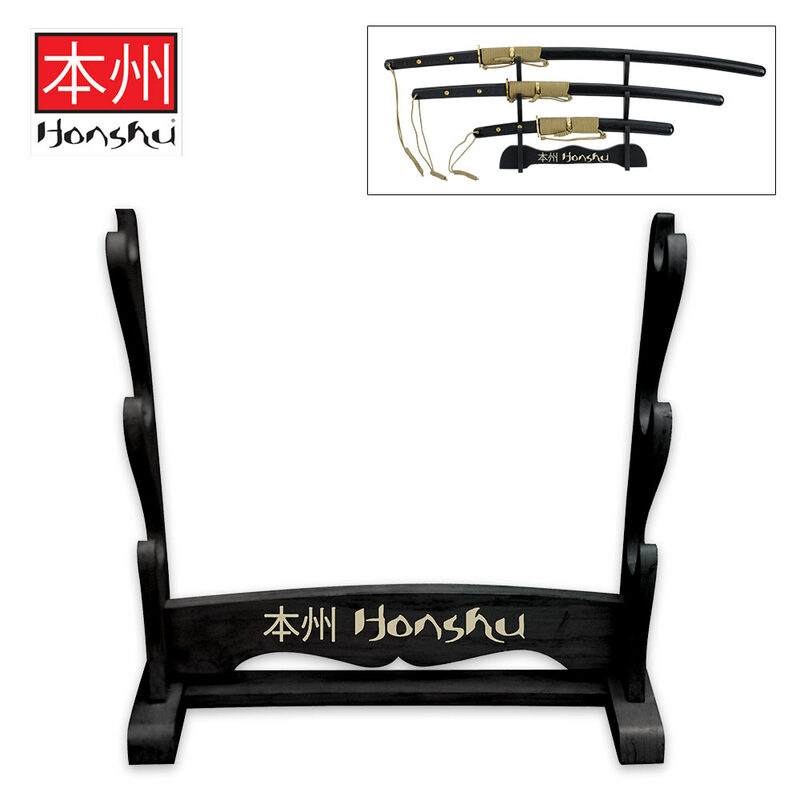 It's designed to showcase the entire collection of Honshu's best-selling blades-the Wakizashi, Katana and Tanto. Measures: 13 1/4" x 13 overall.